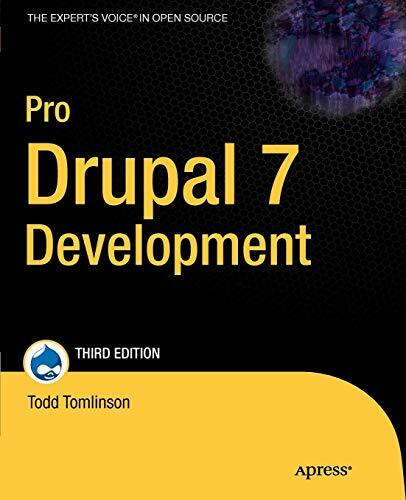 Discover some of the best books about Drupal 7, one of the most popular CMS systems worldwide. Although Drupal 8 launched some time ago it might still be a good option to choose for Drupal 7 as your CMS of choice if you are starting a new website. 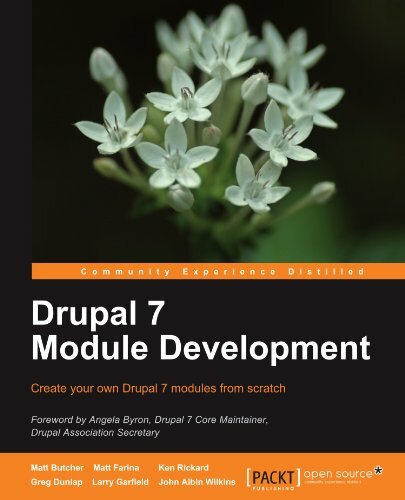 Drupal 7 is easier to learn, better documented and has a wder range of modules and themes to choose from. 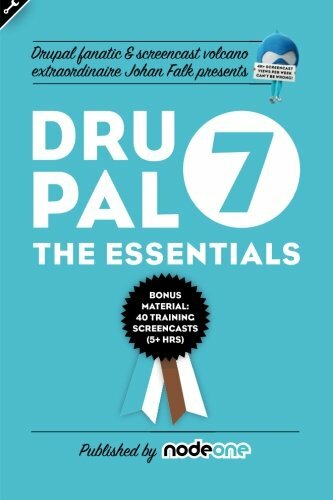 Read these books for beginners or professionals and discover if Drupal 7 might be a good option for you. 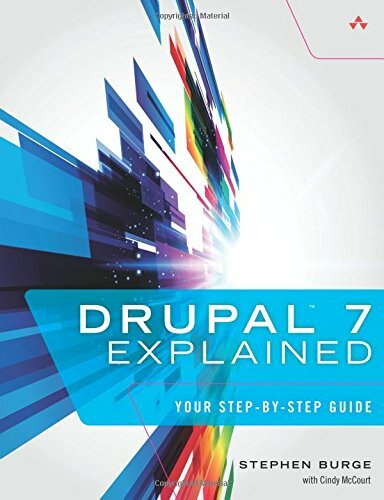 Drupal 7 Explained is for people who want a fun and clear introduction to Drupal. Drupal 7 Explained requires absolutely no experience with Drupal, content management, site construction, programming, scripting, or even HTML. Discover what Drupal does and how it works; then install Drupal 7, master site administration, simplify site creation via workflows, create highly-usable navigation, and much more. Quickly change site designs with themes; find, choose, install, and use modules, including Views; create advanced layouts with Display Suite Panels; customize user access; update and back up your sites; and build multiple site types, step by step! 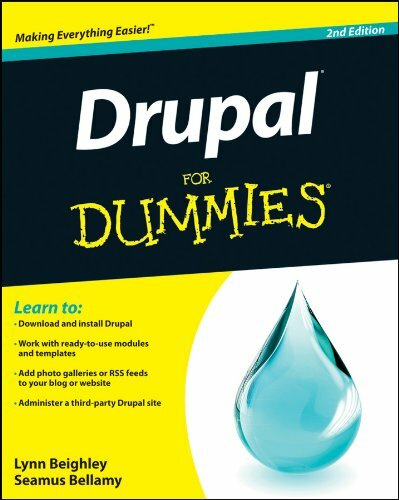 Please note: This is book is 100% aimed at Drupal beginners. 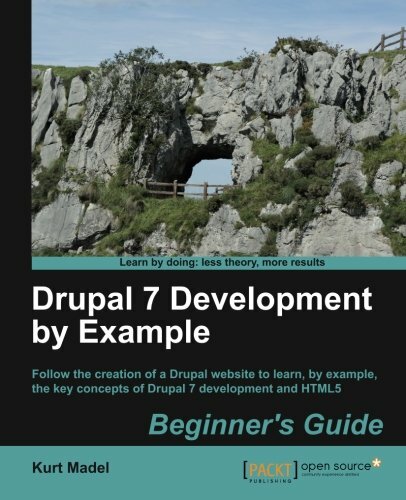 Drupal 7 Explained contains no code and that is absolutely deliberate. If you want to learn how to create themes or code modules, there are other books for you. Follow the creation of a Drupal website to learn, by example, the key concepts of Drupal 7 development and HTML5. Discover a number of new features for Drupal 7 through practical and interesting examples while building a fully functional recipe sharing website. Learn about web content management, multi-media integration, and e-commerce in Drupal 7. Drupal offers unparalleled flexibility for content-managed web sites, and Drupal 7 is the easiest version to use yet. This new edition teaches you the fast, fun, and easy way to get started with Drupal. Even if you have no Drupal experience, you'll quickly learn how to download and install Drupal, set up your first content-managed site, apply templates, use modules, and more. Drupal gurus Lynn Beighley and Seamus Bellamy show you how to take advantage of what Drupal has to offer, make the most of the new features in Drupal 7, and demystify perplexing Drupal issues. Whether you're looking to implement a flexible content management system, turbocharge a blog with photo galleries, or administer a third-party Drupal site, this book gets you off to a running start! Written by active community members and contributors (some of the "brightest and most innovative minds in the Drupal community," to quote Angela Byron, Drupal 7 maintainer), the Definitive Guide to Drupal 7 covers the basics then quickly advances to in-depth exploration of the functionality and tools that make Drupal so powerful for building web applications. 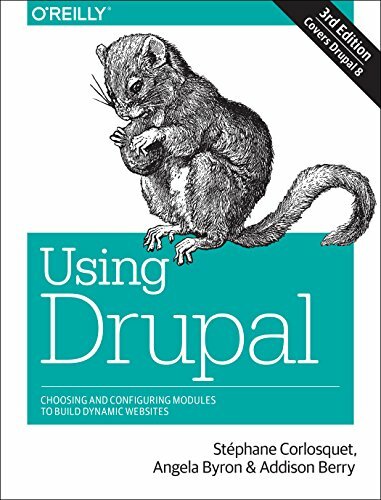 Just as important, this book provides the reader with a guide to participating in the Drupal community: an international, committed, rapidly growing community of themers, developers, and open source advocates who write the modules, test the code, and work ceaselessly to make Drupal great. 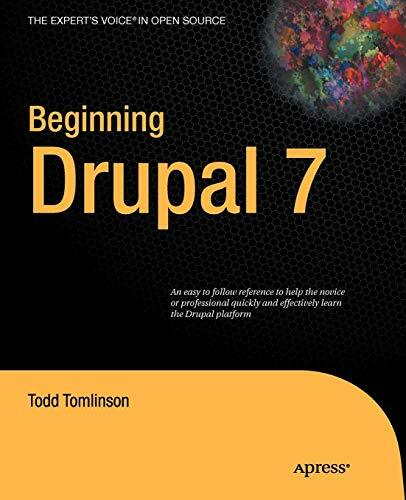 The release of Drupal 7, with its dramatic improvements in usability and system architecture, will take Drupal to a new level of popularity, and this book will help give you the foundation and scaffolding to grow with Drupal. Plan and build a complete Drupal site with core alone. Extend Drupal's functionality by selecting from thousands of modules. Make your Drupal site look like anything you want with theming and jQuery. Extend Drupal by coding your own modules. Install Drupal in many environments. Use essential tools such as Drush and Git to make your life easier. Contribute to the Drupal community as an organizer or a coder. This book takes a hands-on, practical approach to software development. The authors, all professional Drupal developers and contributors to the Drupal project, provide accessible coding samples designed to exhibit not only the technical merits and abilities of Drupal, but also proper architectural and stylistic approaches to coding on one of the world's most popular content management systems. Every chapter provides fully functional code samples illustrating the APIs and strategies discussed in the chapter. With this foundation, developers can quickly build sophisticated tools on their own by making use of the strategies and techniques exemplified in this book. If you are a PHP developer or a Drupal user looking to dive into Drupal development then you will find this book an excellent introduction to coding within Drupal. 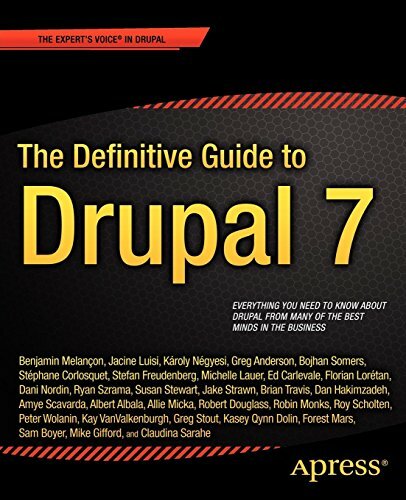 Those with some Drupal experience will also find this an invaluable tool for updating their knowledge about the powerful new features of Drupal 7. Theme developers looking to extend their abilities will find this an accessible introduction to PHP coding within the Drupal environment. This book assumes that you are familiar with basic PHP programming, along with HTML and CSS. No experience with programming Drupal is required, although it is also a handy way for experienced Drupal developers to get up to speed with Drupal 7. If you like building websites with Drupal you'll love this guide to introducing multimedia to your sites. Packed with examples, it helps you use HTML5 and the Drupal eco-system to achieve brilliant results. Integrating images, video, and audio content on a Drupal site requires knowledge of appropriate community modules, and an understanding of how to configure and connect them properly. With the power of up-to-date technologies such as HTML5, responsive web design, and the best modules available in Drupal's eco-system, we can create the best Drupal 7 media website. 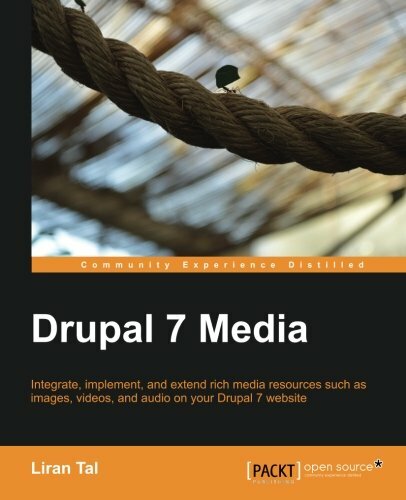 Drupal 7 Media is a practical, hands-on guide that will introduce you to the basic structure of a Drupal site and guide you through the integration of images, videos, and audio content. Learn to leverage the most suitable community modules and up-to-date technology such as HTML5 to offer a great user experience through rich media content. The book begins with a practical introduction to the basic Drupal building blocks. It then breaks down each media resource, and explores them in detail. You will learn how to leverage Drupal's community modules to implement support for images, videos, and audio content, along with the best practices for implementation. We will be mentioning ideas throughout the book, which you can extend upon and use to build your own web applications. We will explore HTML5 support for media resources, the semantic web, and responsive web design, which are key topics in modern web application development. We will then build upon this knowledge and add more functionality to our sample website, such as support for analytic charts and customizing images, all of which we will implement using our own custom modules. You will learn everything you need to know about building, extending, and configuring a Drupal 7 media web application. You know Drupal is the best web publishing platform on the planet. You have started using Drupal 7, built a site or two, and maybe even written a module. But if you don't know Drupal's essential modules inside out, you don't know Drupal. - Understand why you should use Drupal and the power of the platform. - Quickly build confidence in your ability to use Drupal. - Gain the knowledge necessary to build, deploy, and manage web sites of moderate complexity on Drupal 7. Take advantage of Drupal's vast collection of community-contributed modules and discover how they make this web framework unique and valuable. With this guide, you'll learn how to combine modules in interesting ways (with minimal code-wrangling) to develop several community-driven websites.The third edition focuses on Drupal 8, the latest version of this open source system. Each project spans an entire chapter, with step-by-step "recipes" to help you build out the precise functionality the site requires. With this book, developers new to Drupal will gain experience through a hands-on introduction, and experienced Drupal developers will learn real-world best practices.